The car repair market is one the most unorganized sectors in the world. One is often not sure about two most important aspects of repair – time and cost. While time needed to repair the vehicle depends on a lot of factors, the cost incurred is beyond a layman’s understanding. We completely rely on our local mechanic for this. Until now, there was no tool that could help us in finding the right cost of the repairs but newly launched tool – ‘Repair Estimate’ by Droom Discovery makes it easier and hassle-free for everyone to calculate the repair cost of the vehicle before visiting mechanic. Those who are always confused with the repair costs, can visit Droom Discovery to find the repair cost of their vehicle for free. 3. Get Estimates – We cumulate all the estimates and display the final estimated cost. Additionally, you can book repair services on our platform based on estimates given to you. 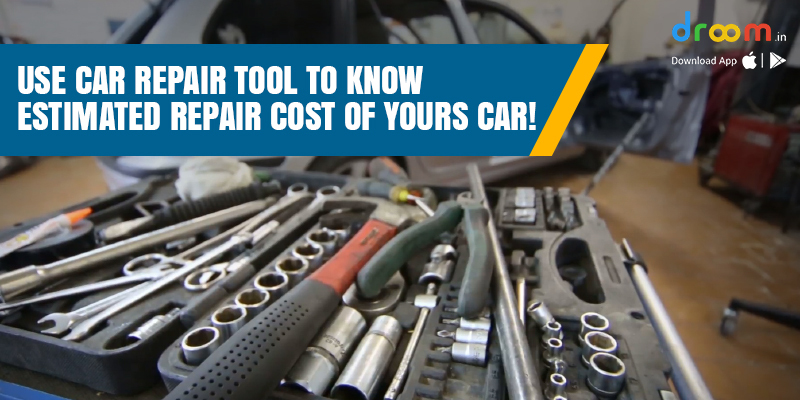 Before you take your Car for repair, make sure you check out this Car Repair Tool to have an idea of what you will be paying to the mechanic and stay frugal. So, what are you waiting for? The tool is just a click away. Click here http://bit.ly/2NtzRqB and get the estimate for free.